Your first destination on our tour is Trois Rivieres. Your short drive today will leave you with lots of time to discover the historic downtown core and kick off your road trip with ease. The most direct route to tonight’s destination of Quebec City is on Autoroute 40. If you prefer a more scenic alternative you should take the historic Chemin du Roy (King’s Way), following Route 138. Spend your day in Quebec City and enjoy the culture, food and entertainment this beautiful city offers or visit L’Isle d’Orleans. Today we suggest you take a drive out to Jacques-Cartier National Park (Parc National de la Jacques-Cartier) for a day of fresh air, play and nature. Today you’ll leave beautiful Quebec City as you make your way north to the Charlevoix region for your overnight stop in La Malbaie. After a relaxing breakfast, head out east on Highway 138 today where we’ve suggested some stops along your journey to Tadoussac. Spend the day in Tadoussac. This is a great place to take a whale-watching excursion on the St Lawrence River, as many species of whales call the river home. Today’s journey takes you north on 138 for a short while before heading west on Highway 172. This highway follows the northern shores of the Saguenay Fjord. Today’s a day for relaxation and to discover the many activities Parc national de la Point Taillon has to offer. No trip to the area would be complete without travelling Lac St Jean by road. Today you can decide whether to spend the day in the Chambord area or travel on to La Baie, stopping en route to experience the surrounding countryside. Today’s drive has you winding through the southern part of Quebec’s Fjord route. Before leaving La Baie, consider a visit to the Musee du Fjord where you can explore the captivating world that is the Saguenay Fjord. A 65-minute ferry ride this morning will take you across the river to Riviere-du-Loup on your way to Drummondville. As the driving distance today is short, we suggest you spend more time this morning exploring Drummondville and surrounding area before continuing on to Chambly. Today’s drive takes you back to Montreal where your road trip ends. 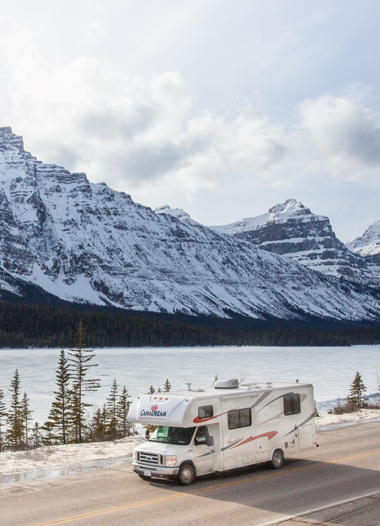 The short drive gives you ample time to get back to Montreal and drop-off the RV. Your first destination on our tour is Trois Rivieres. Take Route 158 to Berthierville. Here you can connect with the Autoroute Felix-Leclerc (Highway 40), which will take you into the city of Trois Rivieres. Discover the historic downtown core, take a walking tour along the Heritage Trail, featuring 70 information panels recounting the history of a street or neighbourhood with its residents and buildings. There are a number of private campgrounds within 20km of downtown Trois Rivieres for your camping enjoyment. The most direct route to tonight’s destination of Quebec City is on Autoroute 40. If you prefer a more scenic alternative you should take the historic Chemin du Roy (King’s Way), following Route 138. Here you will come across some of the most beautiful villages in Quebec, like Grondines, Deschambault, Cap-Sante and Neuville. Visiting Old Quebec City is best done on foot as the streets are narrow and parking is difficult. Old Quebec is a UNESCO World Heritage Site and is alive with history. Take a visit to the Plains of Abraham, the Fortifications of Quebec and the Citadel - the city’s two main defensive works - then take a walking tour or a horse-drawn carriage ride in the Old Town to get a true feel for this unique historic district. For shopping and fine dining, check out rue Saint-Jean and rue Saint-Louis, full of European charm. Visit Place Royale, Petit Champlain District and Old Port then take a ride from the Lower Old Town to the Upper Old Town on the Funicular. Spend your day in Quebec City and enjoy the culture, food and entertainment this beautiful city offers. Drive to L’Isle d’Orleans, just 15 minutes from downtown Quebec City, opposite the Montmorency Falls. This island offers some of the most scenic viewpoints in the Quebec City area. Leaving the island by bridge, you’ll find yourself very close to Montmorency Falls. Stop in for a visit while you’re here before returning to your Quebec City campground for the evening. Today we suggest you take a drive out to Jacques-Cartier National Park (Parc National de la Jacques-Cartier). Make sure to download and check our CanaDream app for partner discounts. Parc National de la Jacques-Cartier is only 30 minutes by road from Quebec City and is home to some of Quebec’s most beautiful glacial valleys. This park is open year round and offers opportunities for canoe rentals, hiking, mountain bike trails, fishing, snow shoeing and skiing. Plan to spend a full day in the park as there’s so much to do and see. Overnight at your chosen Quebec City area campground. From Beaupre, Route 138 takes you north where we suggest you stop at Canyon Ste Anne. Here you can view the imposing 74m high Sainte-Anne waterfall as it rumbles into its 1.2 billion-year-old notch. In Baie-Saint-Paul, take some time to walk along the main street and to visit the many small art galleries this town is known for. For panoramic views of the region and its landscapes, head for the Terrasse Felix-Antoine Savard in the Domaine Charlevoix nature park at 340 route 362. At Baie-Saint-Paul, the highway divides with route 138 becoming the Mountain route and route 362 continuing along the river and known as the River route. At Misere, look for the turn off to Saint-Joseph-de-la-Rive. Here is where you’ll find the Charlevoix Maritime Museum, les Santons de Charlevoix and the Papeterie Saint Gilles Economusee, all of which are worth a visit. Make sure you also take a break at Les Eboulements, a member of Quebec’s Association of Most Beautiful Villages. Not far north of Les Eboulements, you reach Saint-Irenée, another member of Quebec’s Most Beautiful Villages. Arrive in La Malbaie for your overnight stay. After a relaxing breakfast, head out east on Highway 138 and, just before Saint-Simeon, veer off the main road to Port-au-Persil, so tiny it can barely be called a village. Continue to St Simeon, made up of four villages namely St Simeon, Baie-des-Rochers, Port-au-Persil and Port-aux-Quilles. This area is a mecca for rock climbers with the Mountaineering Adventure Park of the Palissades close by. Here you can also swim, canoe, fish and picnic. Highway 138 then travels north through Baie-des-Rochers and Pointe-au-Bouleau to Baie-Sainte-Catherine. Baie-Sainte-Catherine is the west terminus of the Baie-Ste-Catherine / Tadoussac ferry, which offers free and frequent service across the Saguenay River to Tadoussac. The ferry is part of Highway 38. Baie-Saint-Catherine is a gateway to the Saguenay-St. Lawrence Marine Park where you can observe the rich marine ecosystem of the St Lawrence estuary and Saguenay Fjord. Other outdoor activities are also plentiful in the region including horseback riding, hiking, whale watching, canoeing and kayaking. You should have plenty of time to explore before boarding the ferry to Tadoussac for your overnight stay. The whales are attracted by the river’s wealth of shellfish, which they feast on, and by its impressive depth. Take a boat cruise to observe the whales in the St Lawrence River. If whale-watching doesn’t appeal, how about a 20 minute flight over the Fjord in a Beaver seaplane, or a six-hour discovery cruise of the Saguenay Fjord on board the Cavalier Royal? Discover the escarpments, islands, spectacular waterfalls and more and stop at Parc national du Saguenay to learn the history and legends of this picturesque region. There’s also a lot to see and do by strolling the boardwalk and exploring Tadoussac. You will find yourself crossing the Saint-Marguerite river many times but it won’t be until you get to Saint-Fulgence that you meet the Fjord again, just before it converges with the Saguenay River. In Saint-Fulgence, you’ll find the main entrance for the Parc national des Monts Valin. This park consists of 900 metre high peaks, spectacular viewpoints, rivers and numerous opportunities for hiking, fishing or canoeing. Look out for the Parc Aventure Cap Jaseux. Here you can discover the secrets of the Saguenay in a sail boat, see the Fjord in all its splendour by sea kayak, have an amazing view over the Saguenay from the Via Ferrata or the high ropes or arrange for a farm visit. If you prefer to continue on to Lac St-Jean, route 172 hugs the river as far as the northern shore of Chicoutimi before veering northwest through more small towns and villages and converging with route 169 just north of Delisle. From there it’s only a short drive to Saint-Monique where we suggest you find a campground. Today’s a day for relaxation and to discover the many activities Parc national de la Point Taillon has to offer. Watersports' fans will adore the 15 km of sand beaches. Supervised swimming is available near the Discovery and Visitors Centre. You can rent canoes, kayaks and pedal boats near the supervised beach. Parc national de la Point Taillon has a total of 45 km of cycling paths, 16 of which are linked to Veloroute des Bleuets. Bicycles are available for rent at the park rental centre. And, hiking and walking are plentiful. Overnight in Sainte-Monique or travel a little further round the lake to your chosen campground. No trip to the area would be complete without travelling Lac St Jean by road. The highway skirts the river as far as Peribonca before veering sharply north west through fertile farmland and meeting the water again in the Dolbeau-Mistassini area. Dolbeau-Mistassini is the commercial hub of Lac St-Jean and a good place to stop to stock up on food. Continue south across the river to St Felicien. Here we suggest you stop at Zoo Sauvage de St-Felicien. From Saint Felicien, it’s a short drive to either Roberval or Chambord for your overnight stay. Our recommended campground partners here are Camping Mont Plaisant and Village historique de Val-Jalbert. At Chambord, take a walk through the historic ghost town of Val Jalbert. The town features waterfalls, a fascinating industrial history and a large number of historical buildings. Today you can decide whether to spend the day in the Chambord area or travel on to La Baie, stopping en route to experience the surrounding countryside. Your journey today covers only 100km so you’ve lots of time. The town of La Baie was once a city in its own right but is now a borough of Saguenay.. Activities here include relaxing fishing trips on the Saguenay River, golf on emerald green courses and lots of bike trails. En route to La Baie, you may like to take a small diversion into the towns of Chicoutimi and Saguenay. Back en route, we suggest you take the time to visit the Musee de la Defense aerienne de Bagotville – the only museum in Québec dedicated to the history of military aviation. Take a guided tour of the military installations and learn about the history of the Canadian Forces base at Bagotville. Continue east on Highway 170. A side trip off this highway onto Chemin de la Batture will take you to the captivating town of Saint-Felix-d’Otis where you may like to visit Site de la Nouvelle France. This road rejoins Highway 170 near Lake Valerie where you can continue your journey to Rivière-Éternité. From here you can travel on to Saguenay National Park. The park, whose mission is to preserve the Saguenay Fjord, has 100 km of short- and long-range hiking trails allowing views of glacier sculpted rock and marine terraces. As you continue on to Saint Simeon today, be sure to drive in to the small town of L'Anse-St-Jean, another member of the “Most Beautiful Villages in Quebec”. A 65-minute ferry ride this morning will take you across the river to Riviere du Loup on your way to Drummondville. Riviere-du-Loup is renowned for its beautiful sunsets. You may like to take time out to visit Riviere-du-Loup Waterfall Park which offers 5km of walking paths, gardens and marshes along with a 30m waterfall which can be viewed from either of two bridges crossing the river. Those interested in learning about the region’s history and culture can visit the Musee-du-Bas Saint-Laurent which preserves and exhibits contemporary Quebecois art. Take Highway 20 south, catching glimpses of the river as you pass by small towns along the way. Should you choose to take a more scenic route south, try taking route 132 which skirts the coast back to Quebec City before arriving in Drummondville for the night. Chambly is located on the shores of the Richelieu River, at the foot of the Chambly rapids. Chambly is home to both the Fort Chambly National Historic Site and the Chambly Canal National Historic Site. The canal was built in 1843 to bypass several kilometers of rapids between the towns of Chambly and Saint-Jean-sur- Richelieu as part of a series of waterways connecting Canada and the United States. Today the canal is enjoyed by more than 7000 pleasure boats in the summer and ice skaters in the winter. Overnight at your chosen campground or, if you prefer a shorter drive back to your drop-off location tomorrow morning, continue on to Saint Jerome and Camping Lac Lafontaine. Today’s drive takes you back to Montreal where your road trip ends. The short drive gives you ample time to get back to Montreal and drop-off the RV. Of course, if your schedule permits, you can carry on for another road trip or spend more time in the city of Montreal.